DroneShield has announced that the Fort Worth Police Department has today confirmed that DroneShield’s products were utilised by the Texas State Department of Public Safety, the Denton County Sheriff, the Fort Worth Police Department, the Texas Forest Service, and the Texas Rangers for the protection of the 2018 Monster Energy NASCAR Cup Series at the Texas Motor Speedway. 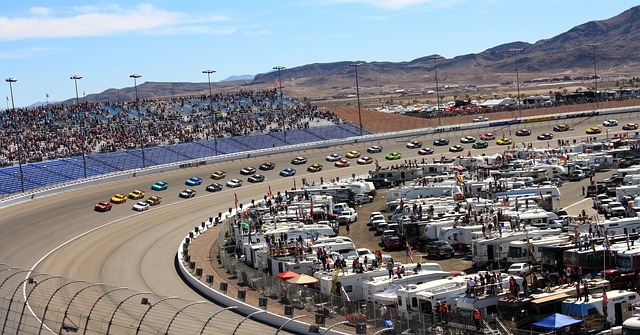 The 2018 Monster Energy NASCAR Cup Series is the 70th season of professional stock car racing in the United States, and is a top tier global racing event with substantial security requirements. Texas Motor Speedway is located in Fort Worth, Texas, and is one of the key tracks for the NASCAR events. Monitoring of drone activity at high profile mass events has become an important component of event management, similar to perimeter access control or participant credentialing. DroneShield’s products DroneSentinel (drone detection), DroneSentry (integrated detect and defeat) and DroneGun (drone interception) were deployed in co-ordination with the Texas State Department of Public Safety, the Denton County Sheriff, the Fort Worth Police Department, the Texas Forest Service, and the Texas Rangers to determine where drones may be operating and intercept them accordingly. Oleg Vornik, DroneShield’s Managing Director and CEO, said, “2018 Monster Energy NASCAR Cup Series is a high security profile event, designated code orange by the relevant US federal government agencies. We are proud to be able to assist a high-profile event like this. Every NASCAR event is complex, and the selection of DroneShield as the sole provider of counterdrone products for the aerial protection of NASCAR is a testament to the quality and capability of our product suite.